We've helped thousands find the honeymoon of their dreams! Who wants children around when you’re on your honeymoon? Enjoy an exotic and romantic getaway, relaxing on the beach and enjoying all the islands have to offer. The most versatile destination for honeymooners, fit for all personalities. Mexico offers a range of options, from luxury to budget friendly adults only, all- inclusive resorts. Why stress over wedding details when you can be working on your tan. These resorts offer hassle free weddings in paradise. Get captured in the spirit of the islands! Perfect for the active and adventurous honeymooners, who want to experience culture, exquisite cuisine and natural beauty. The couples and adults only, all- inclusive, luxury honeymoon where the inclusions are endless. 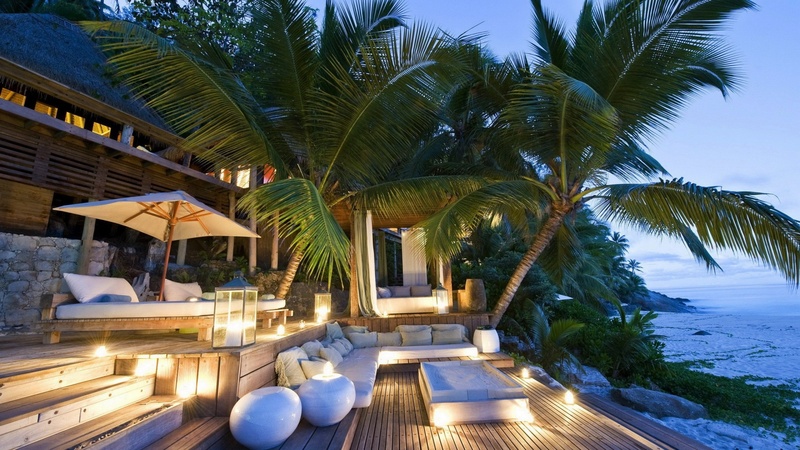 Located on five uniquely beautiful islands, designed for two people in love! There is no one perfect destination or resort for everyone. These ten offer amazing honeymoon amenities and have consistently exceeded expectations. Our most popular resorts. A modern adults only, all –inclusive resort chain, great for honeymooners. Secrets Resorts offer fantastic amenities with large rooms and oceanfront locations. These fantastic resorts don’t fit into any of the categories above. Still some fantastic options for a honeymoon or vacation. DreamHoneymoon.com is the official website of First Discount Travel, a local full service travel agency in Blue Ash, Ohio. Our travel experiences, intimate knowledge of the resorts, and customer service set us apart from other travel agencies. Unlike a nameless, faceless website that utilizes call centers, your honeymoon plans will be perfectly coordinated by a First Discount Travel Honeymoon Professional, who will guide you through the entire process. We are located in the Cincinnati area and we know the Cincinnati travel market better than any national website. We would love the opportunity to meet you in person for a complimentary consultation. Our site is here to help you get ideas and evaluate your options. To begin perusing possible honeymoon destinations, please click on the boxes above. We are looking forward to answering any questions you may have and sharing our own experiences of the destinations you are considering. Please call us and allow us to turn your honeymoon dreams into lifetime memories! All of our travel agents have years of experience helping couples find their dream honeymoon! Ready To Talk About Your Honeymoon? Let's explore your options and find you the honeymoon you've always dreamed of!